In a corner of the Himalayas, India now has its first organic state - Integration Through Media ....! 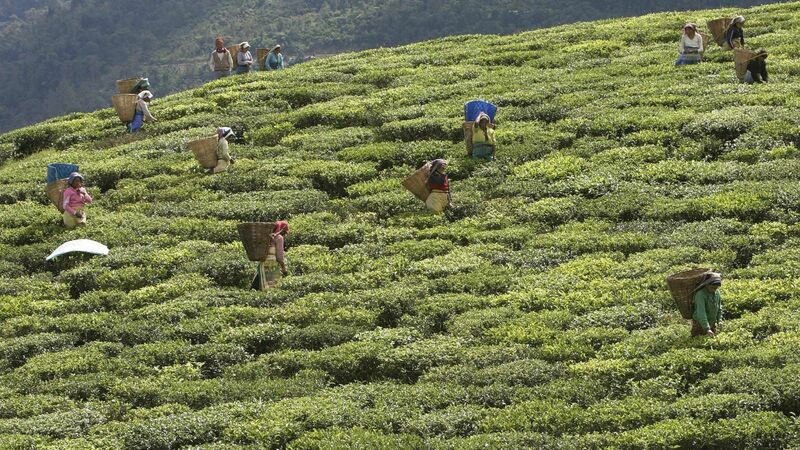 Sikkim, the northeastern Indian state snuggled between Bhutan and Nepal, has now rid its agricultural land of pesticides and fertilizers making it the country’s first organic state. The 75,000-hectare area was transformed as per the policies of the Indian government’s National Programme for Organic Production, meant to promote organic farming. This form of agriculture typically avoids the use of pesticides, fertilisers, genetically modified crops, and other artificial inputs. Instead, farmers use natural alternatives such as green manure and compost. “We achieved fully organic status by the end of December. Prime minister Narendra Modi will formally announce this at a sustainable agriculture conference in Gangtok on Jan. 18,” S. Anbalagan, executive director of the Sikkim Organic Mission (SOM), told the Press Trust for India on Jan. 14. The ban of synthetic fertilisers, and pesticides at local level has led to reduction in the use of fossil fuels and emission of green house gases in addition to sequestering native soil and ecology of the state thereby playing an important albeit small role in mitigating the effects of climate change which is very significant in the fragile Himalayan ecosystem. For long, India has grappled with challenges relating to the safety of pesticides and fertilisers. Much of that was a result of the Green Revolution, an initiative launched in the late 1960s to increase food production. This led to an increase in the use of modified seeds, fertilisers and pesticides, but also had socioeconomic cost due to environmental damages. For instance, in May 2011, India’s supreme court passed an interim order banning production and sale of endosulfan, a deadly pesticide, after over 150 people in the south Indian state of Kerala were affected by hydrocephalus, which causes a swelling of the head, and mental retardation. “It is a great initiative. States are now taking the lead on their own to implement such policies, and we believe they (policies) are in the right direction,” Amit Khurana, the programme head of New Delhi-based Centre for Science and Environment’s food safety team, told Quartz.